B.C. Cancer Agency will study a cluster of cancer diagnoses — 10 teachers over several years — at Riverside elementary in the Maple Ridge-Pitt Meadows school district. MAPLE RIDGE – The B.C. 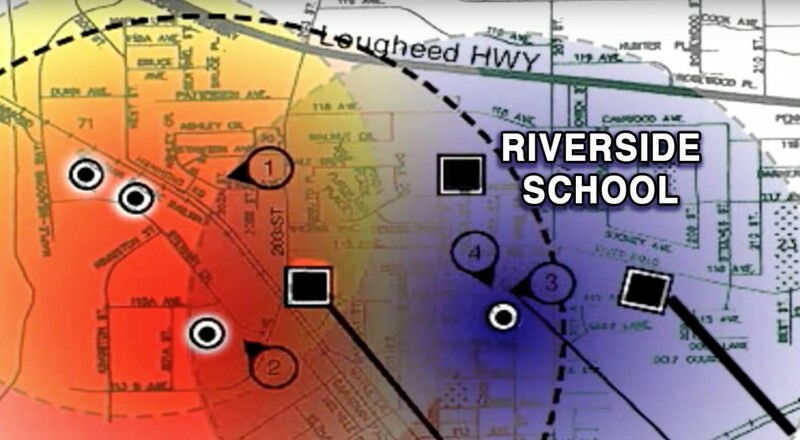 Cancer Agency will study a cluster of cancer diagnoses — 10 teachers over several years — at Riverside elementary in the Maple Ridge-Pitt Meadows school district. “We think that’s a fairly high number compared to the general population,” said district teachers’ union president Drusilla Wilson. The school board’s occupational health and safety officer, Judy Dueck, said a “whole bunch of variables” need to be looked at to determine whether this is a cancer cluster or just a coincidence. “We’re prepared to carry through because the anxiety levels are high,” Dueck said. The study will be led by the B.C. Cancer Agency, and Dueck is starting to collect data for it, starting with a staff survey at Riverside. The latest cancer victim from Riverside died on Jan. 2 of brain cancer. However, all her colleagues who have been diagnosed have recovered. The cancer types have ranged from breast cancer, throat and larynx cancer, to leukemia, according to Wilson. 1. In 2002 Tory leader in the UK, Iain Duncan Smith, called for an urgent government probe into the link between mobile phone masts and cancer after it emerged that people living in five of the seven homes surrounding a building in Woodford with16 masts on its roof- have contracted cancer. The incidence of leukaemia near these masts is also far higher than would be expected normally, according to statistics. There was a significant decline in the incidence of all cancers the further residents lived away from the masts. 2. Also in the UK Dr John Walker from Sutton-Coldfield compiled three cancer cluster studies around mobile phone towers from Devon, Lincolnshire, Staffordshire and the West Midlands. He was convinced they showed a potential link between the angle of the beam of radiation emitted from the masts’ antennae and illnesses discovered in local populations. [i] Dr Sutton first noticed a high number of specific cancers in the early 1990s. Out of 18 houses in one street ten people were diagnosed with one form of cancer. He said the odds of three such clusters occurring were one in a billion. The epidemiological figures show that, within 1.4 miles of the Sutton-Coldfield mast, the number of adult leukaemia cases was nearly double what would normally be expected. In April 2007 The Sunday Times reported that seven clusters of cancer plus serious ill- nesses had been discovered around mobile phone towers in the UK. 3. In the UK in 1999, analysis conducted for The Sunday Times by Professor Gordon Stewart, one of Britain’s leading epidemiologists, showed there may be a significant in- crease in the risk of cancers, including leukaemia, associated with mobile phone masts. The study revealed an increased incidence of cancer within up to 7km of masts. Subsequent inquiries unearthed clusters in London, Bedfordshire, south Wales and the Midlands. People in one area near the mast were found to be 33 per cent more likely to suffer from cancer. Studies of the sites show high incidences of cancer, brain hemor- rhages and high blood pressure within a radius of 400 yards of mobile phone towers. 4. In Warwickshire, a cluster of 31 cancers were found around a single street, and a quarter of the 30 staff at a special school within sight of a 90ft high mast had developed tumours since 2000, while another quarter suffered significant health problems. “We are living in a cancer cluster,” said Mr Lewis. “More than fifty per cent of the residents here said they have had serious health problems since the mast was put up. “Then people suddenly started dying from cancer and now two more have just been diagnosed and one of those is terminally ill.
A spokesman from O2 said: “We don’t recognise that there are any health risks from mobile phone base stations. There have been a lot of studies conducted on the matter and no body has come up with anything to say that there’s any harm at all from phone masts. “No one can say there isn’t a link between mobile phone mast transmissions and cancer. “But there’s nothing to support it either. “The trouble is you can never quite know. Near Cardiff in Wales at least eight residents in the parish of St Georges and St Brides died of cancer over five years, and in every one of the 10 houses on a residential street close to the Sandy Heath transmitter in Bedfordshire, there has been a cancer death. 1. An industry funded study found in 1997 that of the exposed mice, 43% developed cancer, compared to 22% in the control group. [iii] This was regarded by biomedical sci- entists around the world as highly significant. 2. In October 2007 another cancer cluster of 10 people was discovered on the top floor of a hospital in Israel, and another one in Mt Kuringai in Sydney, Australia, also in 2007. The top floors of a Melbourne office building were closed down yesterday and 100 people evacuated after a seventh worker in as many years was diagnosed with a brain tumour. But Telstra insisted the mobile phone towers on the roof of the 17-storey RMIT University building were not linked to the cancer cluster. Five academics – who worked on the top floor – and two general staff have suffered brain tumours since 1999. Six of the seven staff had worked at the Bourke Street premises for more than a decade. Two of the cases were malignant. “We have briefed the staff and suspect further cases will be brought to our attention,” RMIT vice-president of resources Steve Somogyi said yesterday. The academics’ union has demanded that RMIT pay for medical examinations of all staff working in the building after learning of a number of suspected new cases late yesterday. “We’re starting to get anecdotal reports of one or two other people who have passed away who have worked in the building,” said Matthew McGowan, Victorian branch president of the National Tertiary Education Union. 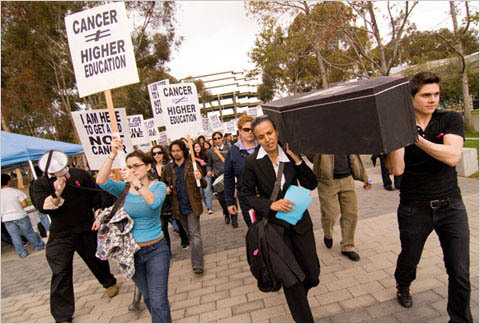 RMIT recently called in a Melbourne doctor to assess information from the staff diagnosed with the tumours but he found no obvious link with “any specific environmental hazard”, a university statement said. Telstra, which along with Optus reportedly has mobile phone equipment on top of the building, said yesterday it would co-operate with the university’s investigation. “This equipment complies with strict health and safety standards, and is regularly tested to ensure ongoing compliance,” the phone company said. The university has started notifying students at the building, many of whom are from overseas. However, serious concerns were not held for the students. RMIT investigated radio frequency and air quality after the first two cases emerged in 1999 and 2001, but all the results were well below the recommended Australian standards, a university spokeswoman said. “It was thoroughly tested,” she said. Yesterday’s action was prompted after a third case was reported by the institution’s occupational health and safety unit a month ago, when it emerged that other academics had also fallen ill.
“We’re looking at everything around the area,” the spokeswoman said. But Mr McGowan said the university must be accountable for health and safety checks “across the board” after the initial testing in 2001 was not followed up. “These cases have only coincidentally come to people’s attention rather than through some systematic monitoring process,” he said. The results of the RMIT investigation are expected in two weeks. 2. According to the UK Mast Sanity group, 47 cancer clusters have been reported around schools in Spain. A study instigated by the President of the Federal Agency for Radiation Protection in Germany from 1999 until 2004 found that after five years operation of the mobile phone tower, the relative risk of getting cancer had trebled for the residents of the area in the proximity of the tower compared to the residents outside the area. A 2011 report of thousands of cases of cancer deaths concluded that there was a direct link to proximity to cell towers in 4,924 of these cancer deaths. The researchers found that in 80% of the cases the victims lived within 500 m of the cell antennas. (see citizensforsafe- technology.org for report). In addition in 2005 the Nobel Prize winning Irish Doctors Association listed 70 research papers showing the dangers from low level microwaves. Dr. Santini listed 20 similar studies, the EM Radiation Research Trust listed 9 studies, Dr. Blackwell listed 6 similar studies in his report, and finally, four international universities completed the Spanish Study which verified all of the known illnesses. “Joining the dots: An overview of public health trends in 2007: To what extent do these trends reflect the research into adverse effects on health of Electromagnetic Radiation? A Discussion Paper” by Melbourne Researcher Sarah Benson. The full paper, downloadable as separate chapters, is available at an external site, located here. The passages below taken from the section of Sarah’s document are focussing upon Cancer. Is radiation from nuclear meltdown literally sucking the life out of those growing up nearest do the accident site in Japan? An alarming new study suggests that Fukushima may be producing cancer clusters in Japanese children, with rates soaring to more than 50 times typical levels of thyroid cancer in the general population. A new analysis of data from Fukushima suggests children exposed to the March 2011 nuclear accident may be developing thyroid cancer at an elevated rate. 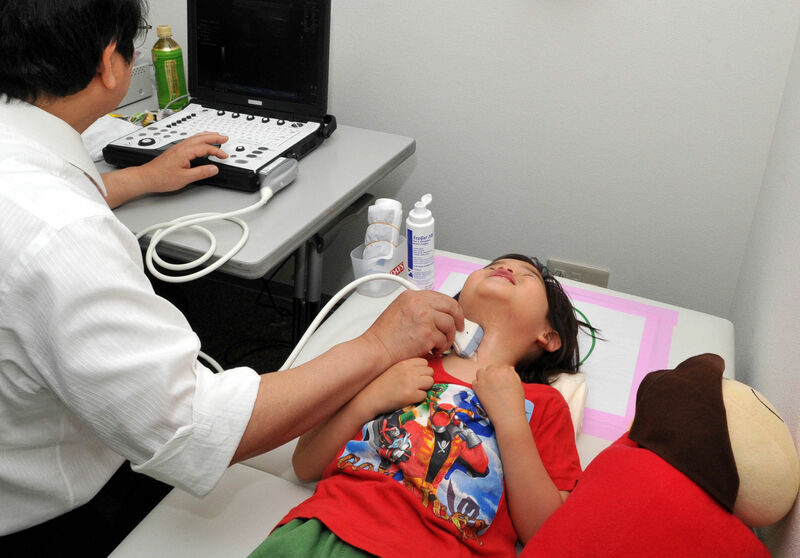 In the past year or so, the Fukushima Health Survey of more than 150,000 children has turned up 25 “suspicious or malignant cases” of thyroid cancer. Thyroid screenings in previous years have also found numerous cases. The work, led by Toshihide Tsuda of Okayama University, is based on a large public health survey that was set up in Japan’s Fukushima prefecture following the accident. As part of the survey, children who were living near the plant at the time of the accident have been offered regular thyroid screenings. Thyroid cancer can be caused by radioactive iodine released in a nuclear accident. Children are particularly susceptible because their thyroids are growing rapidly. Thyroid cancer was listed as a possible health risk in a World Health Organization report on Fukushima, though the report stated it would be difficult to link cancer cases to the accident. Considering the importance of these findings on human health, and in particular the health of the children living closest to the disaster zone, you would think every agency would surface, ready to conduct further studies and come up with ways to mitigate and minimize the issues. But instead, reality is being denied. By ignoring the problem, and pretending it doesn’t exist, liability for wrecking the lives of others can be avoided, long enough eventually for the problem simply to go away. This has been the TEPCO formula since the beginning of the accident. “This amounts to an increase of 35% (the total for the entire U.S. rose about 2.3%), and is statistically significant. Of course, excuses are being made with these latest findings, with officials claiming – as with other phenomenon like autism – that more intensive screening practices are responsible for the higher numbers of thyroid cancer. Japanese officials believe the screening process itself may be behind the numbers. Increased vigilance might be turning up thyroid abnormalities that otherwise would have gone undetected. But the new paper contradicts that view. The increase in cancer is “unlikely to be caused by a screening surge,” the paper says. It claims thyroid cancer rates are highly elevated throughout Fukushima. A tightly controlled state media state has been actively countering the report, unleashing other experts who are claiming that the study is not reliable, and is making links not supported by the evidence. Above all, authorities are insistent that the nuclear accident cannot be linked conclusively with cancer in any of the cases..
More of that from the official “nothing to see here” and “everything is fine” departments. But the truth is, that these children are just the canaries in the coalmine. The truth is much worse than we know… and the toll it will take on human life has only begun to surface. It is having a profound impact not only on the environment, but on human, animal and sea life.